For Exposed this month we spoke to Screenworks member Jonatan Lundmark about his Byron Bay based production company Rest Your Eyes Production. 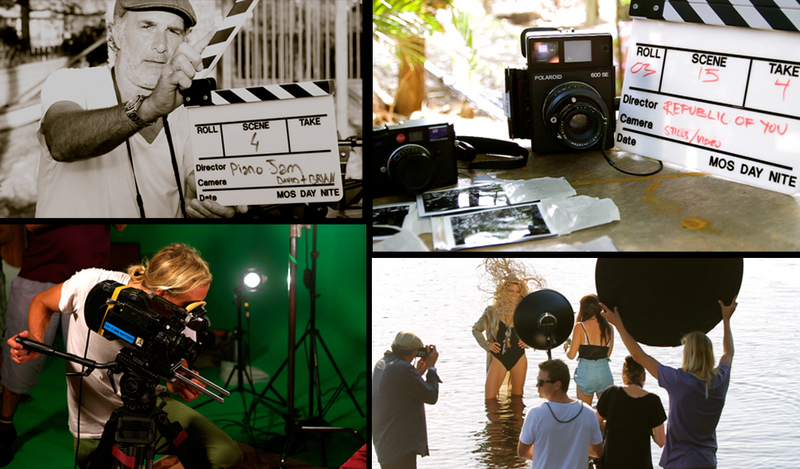 This full service production company was established 7 years ago and has become well known locally through the many films they have created for the numerous iconic Northern Rivers brands. Their fresh style, professionalism and ability to capture the essence of their subjects has seen this small local production company grow and attract national and international clients. We are a full-service film production company managing projects from conception through to post-production. We specialise in branding campaigns, advertising, documentaries and online content. We pride ourselves on our relaxed and friendly, yet professional and efficient approach to doing business. Rest Your Eyes Production started in 2009 when my twin brother and I moved from Sweden to Byron Bay to study for our bachelor degree in Film Production at the SAE institute. After a few months in Australia we meet French born Australian Olivier Certa and started working in his iconic shop Unplugged Byron Bay. After spending most of the time in the shop talking about new film ideas, we quickly realised that we all had a shared love for film making. From there it was a natural transition to realise the collective dream and start a film company together, the birth of Rest Your Eyes Production. Our Byron Bay documentary; Byron Bay – The Meeting Place. We worked on this film for 1.5 years and through this project we felt that we really got to understand and become a part of the community. It’s a great feeling to be accepted and feel like a part of a community when you have left all your family behind in Sweden. It’s really important to be diverse in the kind of work you do and you need to tune in to local clients who have an international and an Australia wide market. We keep getting surprised by how many big business are run from Byron Bay. Film and photos for Wolfmother, Crowdfunding video for an amazing product called Honeybee Wrap, Farmers Market Mullumumbimby promo video, Music videos for Bobby Alu, Macadamia Society branding videos featuring Gourment Goons, Naked Treaties and Harvest Cafe and of course Screenworks Createability project.